Whichever way you have gone about it, you now have your mailing list subscription form pasted on your website, and you have put an action plan in place that is driving targeted visitors to the appropriate sign up pages. The next thing you need to do is make sure that the ‘mechanics’ of your list building system are set up in the most efficient way, which starts with making sure that you are using a top level autoresponder system. What autoresponder should you use? The first choice that you have to make when considering which autoresponder system is most likely to be the most efficient and therefore profitable for your business is whether to buy autoresponder software, or to use a web-based, online system. The obvious attraction of buying software that you can then run from your own desktop or from the server of your web hosting account is that once you have bought the software, that is your expenditure complete. Apart from this attraction however, everything else points to the fact that unless you are in a position to own your own web server, using installed software is a bad choice. The list of disadvantages attached to setting up your autoresponder in this way is prohibitively long, but suffice to say, this is not the best way of setting up an autoresponder. On the other hand, using a web-based autoresponder system means that you have to pay a monthly subscription. Beyond this downside,web-based systems hold all the aces. For instance, as new technology enters the autoresponder business, the best web-based autoresponder providers are usually at the cutting edge of that technology. As an example, some online systems can not only recognize when your list member opens the mail that you have sent to them, it can even recognize whether they have taken the required action that you asked them to take or not. By using a web-based system, you do not use your own servers to handle all of your incoming and outgoing business based mail. This cuts the potential strain on your web hosting account to a minimum. 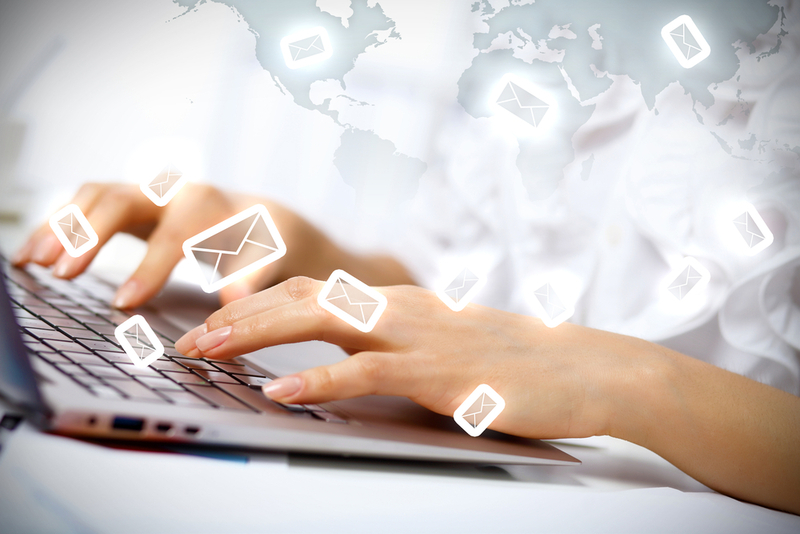 More than anything else, online autoresponder organizations are specialists in what they do. The top people in the business do nothing other than provide autoresponder services, so they live or die based on the efficiency and effectiveness of their systems. Consequently, you can always be absolutely certain that their systems are as good as any that are available in the market. How My Step-By-Step Super Affiliate System Will Have You Raking In Massive Commissions From Affiliate Marketing In Just Days From Now – Guaranteed! Ewen Chia Superaffiliates! There is one final but extremely vital consideration.Spam has already reared its ugly head in this report on several occasions, but it is a problem that cannot be ignored. For this reason, many ISPs are extremely proactive in protecting their customers against incoming spam e-mail, to the extent that they often filter incoming mail messages before they ever get anywhere near your inbox. This is all well and good as long as the filter is selective but unfortunately, the majority of them are not. On the contrary, they are extremely aggressive and have a tendency to obliterate incoming e-mail seemingly at random. This presents you as an online marketer who is using e-mail as a proactive marketing tool with a huge problem. If you send an e-mail message to a new prospect that never gets through, this naturally guarantees that the prospect can never become your customer,because as far as they’re concerned, you never even sent them the very first e-mail or the special report that they requested. If you are sending e-mail from your own server using software that your purchase, this delivererability factor becomes a huge problem. However, this is also a problem that the vast majority of online autoresponder systems have as well. Some reasonably well-known online systems enjoy deliverability rates as low as 40%, meaning that six out of every 10 outgoing e-mails that you send get trashed before the intended recipient even knows that you have sent it. In terms of deliverability, there are two companies that stand head and shoulders above everyone else on the market. Added to this is the fact that these also happen to be the two most widely used and respected autoresponder companies in the online marketing business. Consequently, if you want to get the most out of your e-mail marketing efforts (i.e. if you want to make the most money), you must choose either Aweber or GetResponse as your autoresponder system. Both systems also provide a utility where you can check the ‘spam friendliness’ of your e-mail messages which is another invaluable tool which will help improve deliverability. Use almost anyone else, and you are leaving money on the table, which is obviously something you don’t want to do. The final thing to mention about your autoresponder is that you must always set it up so that you operate what is known as a ‘double opt-in’system. What this means is that when someone chooses to join your list by completing your subscription form, your autoresponder does not automatically send them the information that they have asked for immediately. Instead, it will send them an e-mail that contains a link that they have to click on to confirm that they do indeed want to be subscribed to your list. It is only if they click on this confirmatory link that they will be added to your outgoing e-mail message sequence and be sent the information that they have requested. Double opt in is another way of protecting yourself against spurious or malicious spam complaints. Perhaps surprisingly, many people subscribe to mailing lists and then forget all about it. When this happens, you can almost guarantee that a person like this will also be a person who delights in making spam complaints. However, because this individual was asked to double opt in, both you and your autoresponder company are protected because they hold conclusive proof that the subscriber did indeed ask for information. When you are initially setting up your autoresponder, you have the option of doing almost anything you want with a new subscriber who has just joined your list. The temptation might be to send them immediately to the page where they can download the free gift that you have offered them, but this is a temptation you should resist. Instead, send them to a sales page, either for the primary product that you are promoting or for any other product or service that is appropriate to this individual visitor. Make sure that there is a (slightly inconspicuous) ‘No Thanks’ link at the bottom of the page that the visitor can click in order to go straight to the free gift download page,but do not highlight this link because you want the visitor to read the sales letter in full. If they do so, a proportion of new subscribers will buy the product you are offering, particularly if you present it as a one-time offer, a special offer on your product that they will never see again. As an example,you might normally charge $47 for a product that you sell, but as a one-time special offer that is only available to new subscribers, you might present this same product to them for $27. Remember that the whole purpose of building your mailing list is to build the business, which in turn means making money. Do not therefore ignore such a gilt-edged opportunity as this. This entry was posted in Internet Marketing and tagged autoresponder, autoresponder software, autoresponder system, list building system, mailing list subscription, subscription form. Bookmark the permalink. Follow any comments here with the RSS feed for this post. Post a comment or leave a trackback: Trackback URL.